Video : Are We There Yet? Podcasts are compelling tools for educators from two perspectives. For consumers of information, podcasts can provide portable, repeatable content that can be accessed at any time as often as needed. Study materials, how-to guides, lectures, guest speakers, and literature can be made available to students in a form that can be accessed through their computer or their iPod or other portable music player. For creators of information, podcasts help students focus on research, write for an audience, and use multimedia tools to publish original content. Many K-16 schools have embraced podcasts as teaching and learning tools. The Education Podcast Network showcases many examples of student-generated and subject-oriented podcasts along with details about creating your own podcasts. A quick Google search will uncover hundreds of additional sources. Podcasts come in two “flavors.” Audio podcasts are typically MP3 files with vocal and/or music content, although there are other file formats available. (My favorite audio podcasts are the podcast versions of NPR’s Wait, Wait, Don’t Tell Me, a show that I dearly love but rarely hear live due to its broadcast time. All episodes live on my iPod and get played regularly.) “Enhanced” podcasts include images or video and may have addressable chapters available to the listener. There are many tools available for educators to use to create their own podcasts. Mac users have the elegant GarageBand, which easily integrates voice, music, and video to create podcasts. (iLife ’08, the current version, does an exemplary job of creating podcasts and is well worth the upgrade.) Other tools for Windows and Macs may be found here. As I mentioned in some of my earlier posts (see Free Online Videos and Free Online Videos, Part Two), research tells us that having “just-in-time” video resources available for students has a positive effect on achievement, time on task, and overall engagement. Commercial services such as United Streaming Media provide these media, but licenses can be expensive and are usually handled at a district level. That’s why I am on a constant search for free, high quality video resources for teachers. One of the best such resources came to my attention recently. Teachers’ Domain offers an exceptional collection of very high quality Open Educational Resources video content across a variety of topics as well as excellent professional development opportunities in the form of online classes using resources from NOVA and other PBS programming. The online content offered by Teachers’ Domain is compelling. You’ll find a variety of QuickTime movies, interactive Flash applications, images, PDF files, web links, and lesson plans categorized by topic and grade level. Most of these resources can be viewed online, which is good in itself, but an exciting feature is the ability to (legally!) download and even remix resources for your own purposes. Social networking capabilities have not been overlooked. You can create online folders to store links to content that you will reuse at a later date, and you can create groups of other Teachers’ Domain users to share resources, lesson plans, and ideas. Teachers’ Domain should be on every teacher’s favorites list. It sounds like the best feature of iMovie 8 (the version that comes with the recently released iLife ’08 suite) is the fact that it does not delete an already installed version of iMovie from your hard drive. Fortunately, installing iLife ’08 over previous versions of iLife does not result in the deletion of your old version of iMovie. Look for a folder title “iMovie (previous version)” in your Applications folder. If you inadvertently delete it, Apple will allow owners of iLife 08 download a free copy of iMovie 6, the version immediately prior to v8. It’s a 155 MB download, and it will install only if it detects an installed copy of iLife 08. Educators should also be aware that iMovie 8 requires significant computing power to run at all. Apple’s site states: “iMovie requires a Mac with an Intel processor, a Power Mac G5 (dual 2.0GHz or faster), or an iMac G5 (1.9GHz or faster).” It will no longer run on G4 processors. iBook users are out of luck. While I can recommend the improvements to other iLife components (iPhoto 8 in particular), it’s going to be important for most schools and educators to stick with iMovie 6 until Apple updates and improves the current release. Following up on my earlier post, here are some additional sites that offer free videos (and some podcasts) appropriate for education. From the site: “The purpose of the Open Video Project is to collect and make available a repository of digitized video content for the digital video, multimedia retrieval, digital library, and other research communities.” An excellent collection of videos with an effective search engine. This site offers free online textbooks, lecture notes, tutorials, and videos on a wide variety of math topics from general mathematics, physics, statistics, number theory, and more. An excellent collection of biology experiments and demonstrations, published monthly. These are fairly complex experiments appropriate for high school and post-secondary students. 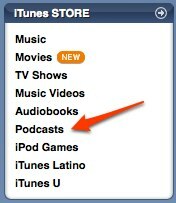 Note: To view podcasts, you’ll need to have iTunes installed on your PC. (It’s already on your Mac.) Many podcasts are audio-only. Apple’s iTunes store for education offers a huge variety of podcasts from over a dozen universities, all of which are freely available for download through iTunes. OpenCulture offers more than 75 university courses which may be viewed without cost. Courses include topics as diverse as art, foreign languages, science, business, and law. Most classes linked from this site are from Stanford, UC Berkeley, and MIT with a smattering from UCLA, Johns Hopkins, and others. Over 4000 podcasts from more than 400 channels, including a video podcast channel with some excellent videos. The site also offers some helpful tech hints and other e-learning resources. OEDb offers 236 open courseware collections, podcasts, and videos. Scroll around the site for some excellent in-depth link sets on a variety of topics. There is a lot of research that shows that having readily available, content-based video increases student performance in just about all academic subjects. Having said that, it’s not always a good idea to turn students loose on YouTube in search of a video about biology or some other topic. There are some subscription services that provide content-based video for schools. Best known among these are United Streaming Media, Cosmeo, and SchoolVideos. These services provide well-produced media mapped to student standards. Many school districts subscribe to such services, so you may already have access to some of their materials. Some sites offer samples of their videos for free viewing. SciTalk offers lectures from well-known scientists, futurists, and technologists on a wide range of science and technology topics. Best suited for high school and post secondary students. The Futures Channel divides their movie offerings into two main categories–“Real World Movies” (animals, art & music, environment, science & tech, etc.) and “Teaching and Learning” (algebra in the real world, hands-on match, problem solving, etc.). Most are short (2 – 5 minutes) and targeted toward a very specific topic. Most come with classroom activities. ScienceHack provides a search engine that focuses on on-line science videos. You can also search by topic or browse a list of the latest videos that have been linked. Performing a Google search for educational videos (on google.video.com, type “genre:educational” in the search box) returns a huge variety of educational videos. Expanding your search (e.g., genre:educational astronomy) will narrow your topic down considerably. Make sure Safe Search in enabled in your browser for elementary students. Research TV produces research news stories for universities and other research organizations. They also make their productions available to watch online. Topics include Health, Science and Nature, Technology, Society, Business, Creative and Cultural, and others. TeacherTube offers a huge variety of educational videos on every imaginable topic. Many of these are school-produced, and you are encouraged to add your own educational videos to the offerings. the 20th Century from 1893 to 1989, searchable by keyword or date. An excellent resource for high school and post secondary teachers (or as professional development for any science teacher). This site includes both science videos and science lectures and offers an excellent search engine for both types of videos. Annenberg Media provides a wide variety of professional development courses and resources, including some scheduled live webcasts. The Oklahoma Technical Assistance Center has a nice collection of professional development videos for K-12 teachers in a variety of areas including History, Science, Math, and English. No, this is not a new Web 2.0 technology. In fact, it predates webcasting and podcasting by several years–an eternity in computer time. Screencasting is a term used to describe the act of capturing a still image or a video image from your computer screen. Screencasting is particularly useful for educators in that it provides a way to illustrate documents, PowerPoint slide shows, web pages, or videos with snapshots and videos of how a process is supposed to look on a computer screen. For example, you could illustrate a “how to log on to the file server” or “how to use style sheets in Word” slide show with screen shots of the various steps in the process. With a bit more effort, you could create a video of the entire process. I have found this technique particularly useful in my web-based classes, in which I can provide voice-annotated videos of various tasks for my students. Both Macs and PCs have had rudimentary screen capture capabilities since their inceptions. Right out of the box, both platforms can capture still images of happenings on the computer screen. Hold down the COMMAND and SHIFT keys a press the 4 key. A crosshair cursor will appear that will let you select a region of the screen. As soon as you release the mouse, an image of the selected region will appear on your desktop. Hold down the COMMAND and SHIFT keys a press the 4 key. When the crosshair cursor appears, hit the SPACEBAR. Your cursor will turn into a camera. Move the camera around. As you do, the window, icon, or menu you are hovering over will be highlighted in blue. Click the mouse and an image of the selected element will appear on your desktop. On Windows, there are a few extra steps involved, and there is not an option to capture a selected region or a menu. The essential difference is that Macs capture the screen image directly as a saved image file–in Windows, you have to paste the captured image into a document or image editor. Press the PRINT SCREEN (PRNT SCRN) key. An image of the entire desktop will be captured in your computer’s RAM. It then must be pasted somewhere. You can paste directly into Word or PowerPoint (or virtually any other program) or into an image editor if you need to tweak the image. Hold down the ALT key and press the PRINT SCREEN (PRNT SCRN) key. An image of the active window will be captured in RAM, ready to paste into a document or image editing program. Not content with simple screen capture of still images, programmers have devised a number of other alternatives for both platforms. There are enhanced versions of still capture for both platforms and a wide variety of video capture programs as well. Some of these programs are free and are worth trying out. If you’re looking for free software for Windows, look no further than Windows Media Encoder, a free download for XP and Vista from Microsoft. WME will let you capture still shots in a variety of formats, but more importantly will allow you to make voice-annotated videos of screen processes. The many input and output options and technical jargon make it confusing for beginners, but there are wizards available that help you along. The quality of the movies is very good. The standard for Windows screen capture is Camtasia Studio, a full-featured program that allows many more output options than Windows Media Encoder and is actually easier to use than WME. At $299, it’s very pricey, but it does its job very well. There are also other free or low cost alternatives for Windows. Take a look at CamStudio, and try a Google search for more. On the Mac side, the reigning king of still and video capture is Snapz Pro X from Ambrosia Software. It does everything and does it well. It’s easy to learn and easy to use. Of course, it’s not free, but it’s not expensive, either–$69 as a download from Ambrosia. If you see a video screen capture done on a Mac, chances are it was done with Snapz Pro. This is an official update to the original “Shift Happens” video from Karl Fisch and Scott McLeod. For more information, or to join the conversation, please visit http://shifthappens.wikispaces.com — Content by Karl Fisch and Scott McLeod, design and development by XPLANE. There also is a longer, somewhat updated version available here.